The Rio Cahabon flows through the Alta Verapaz department in the eastern part of the country, between Lake Izabal and the capital city of Cobán. The Cahabon is one of Guatemala’s few rivers that has guided wild water rafting trips all year round. The Rio Cahabon flows through the Alta Verapaz department in the eastern part of the country, between Lake Izabal and the capital city of Cobán. The Cahabon is one of Guatemala’s few rivers that has guided wild water rafting trips all year round. The Cahabon has rapids leveled I, II III – IV, depending on the time of the year with calmer water sections, and passes many attractions such as caves, waterfalls, and also “el Paqueno Paraiso” thermal hot springs. The emerald waters of Rio Cahabon also take paddlers past a limestone cavern and the Mayan ruins of Quiriguá. Quiriguá is an UNESCO world heritage site and although it is one of the smallest Mayan Cities, it is one of the most notables due to its magnificent series of monuments and for being home to the largest monuments including “stelae” in the Mayan world. It is the perfect combination between adrenaline and rest, emotion and distraction, nature and adventure. 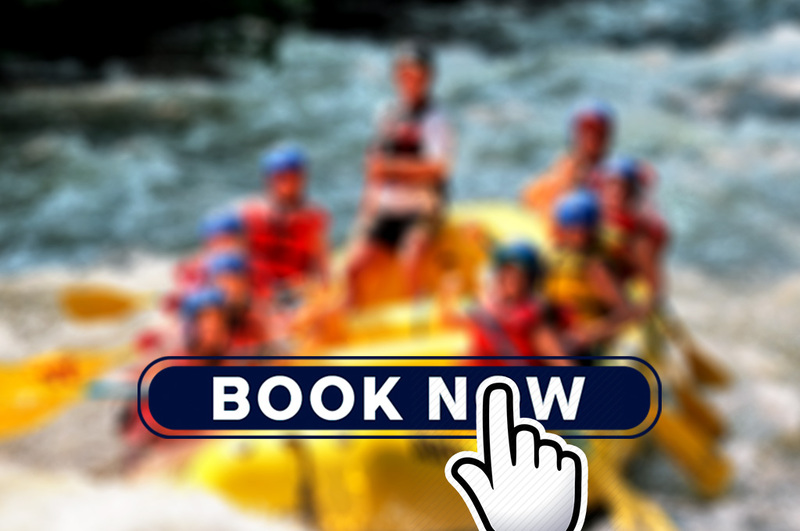 You can navigate the whole year around, and you can navigate from one to three consecutive days, so camping is another option alongside rafting. For Rafting it is not necessary have a perfect physique conditions. You just need to know how to swim. Note: Not suitable for pregnant women and people with a heart disease. Included Transportation from / to coban, security briefing, lunch with the community, rafting equipment. Wander along ancient Mayan paths and discover the importance of an old and wonderful magical paradise, while you walk through the beautiful National Park Hun Nal Ye. Enjoy nature watching the diverse local flora and fauna on your way to the Museum of Hun Nal Ye, and learn about the Mayan culture through the collection of archeological pieces and replicas the museum has on display. After your visit, you can choose between different eco touristic activities to do, like trekking, canopy, bird watching, sport fishing and jumping from the garrucha in the main pool. In this tour you will learn about the history of Guatemala’s Coffee, from growing the coffee plants to all the steps involved in preparing the coffee ready to sell. You will visit the coffee plantation, see other crops including bananas, and behold the river from above on zip lines (aka canopy). The zip lines consists of 7 different lines that cover 750 meters. At the end of the tour, you will have the opportunity to try the delicious coffee, as well as buying grounded coffee and local handicrafts, which in turn support the small, local Co-operative of Maya Q’eqchi coffee farmers.